Jennifer came out as bisexual when she was in high school. But after an interview for her first professional job out of college, she decided she wouldn't share her queer identity at work. She grew out her undercut, removed her nose ring and hid anything else she thought might make coworkers whisper. On her first day, she noticed the conservative dress at her company, and later on, her supervisor even made a point to bring up Jennifer's clothing choices in their performance evaluations. She noticed men around the office making jokes about an LGBTQ dating app or awkwardly talking about gay family members. "It's not like I'm trying to meet people at work, but there was a period of about a year where I was single and dating women, and it was weird to not be able to talk about it," she says. Jennifer is still working in that first job — and still not out to her coworkers. When people ask her about her weekend plans, she offers vague answers: simply "going to New York" when she's attending an LGBTQ conference, or referring to a queer women's retreat as "adult summer camp." Jennifer isn't alone in bringing only part of herself to the office. Nearly 50% of LGBTQ employees remain in the closet, according to a recent study from the Human Rights Campaign. Like Jennifer, many told HRC that hearing their coworkers make jokes or tone-deaf comments about the LGBTQ community contributes to that decision. And many Millennial employees are coming out of the closet only to go back in when they enter the working world, according to HRC. 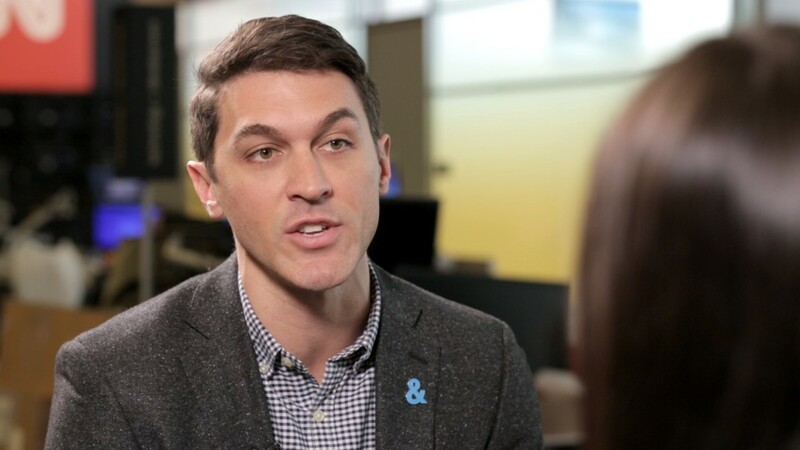 Even among such an "out" generation, stigma and stereotypes can still haunt new employees, says Beck Bailey, deputy director of the HRC's workplace equality program. "There's a lot of pressure to perform," Bailey says. "There's this idea that if there's anything that could be stereotyped or used against you, even in the most unconscious bias kind of way, you're going to maybe want to take that off the table." This is particularly challenging for people managing multiple kinds of diversities, Bailey says. A black man may hide his queerness in part because he's already concerned about navigating racism in his office. Someone managing other "invisible" diversities, like disability or veteran status, will stay silent as colleagues discuss their personal lives. "If you're a woman and you're dealing with gender bias, you might want to take the fact that you're a lesbian off the table, so you're not also dealing with bias around your sexuality," Bailey says. "And I think for all young people, their youth and their lack of professional experience is already on the table." These same LGBTQ individuals may come out again later in their careers, after they feel they've achieved some sort of "insulation" that protects them from bias: accolades like a flashy promotion, a big raise or even just some respect amongst peers. In the meantime, there are consequences for employers: employee engagement can suffer by up to 30% if LGBTQ individuals continue to feel unwelcome at work, HRC reports. To help employees feel more comfortable, messaging the company's commitment to inclusion should start early, Bailey says. Employers interested in a diverse, engaged workforce should make sure their message of inclusion is communicated at every process in the organization, from employee recruitment to promotion. "If I'm an LGBTQ person and I'm thinking about applying to your company, I'm probably going to your website, I'm reading things, I'm looking at the 'what it's like to join our team' part of the webpage," Bailey says. "We need to be messaging very, very early and very, very specifically about our commitment to inclusion." Jennifer is hopeful that in her next job, things will be different. At a conference several years ago, she remembers seeing Chrysler representatives talk about their LGBTQ employee resource group. "That was really cool and heartening to see, that there are professional places where you can be out," she says. "It's just not what I've experienced."